Grapefruit is one of the healthiest fruits and happens to be in season in the United States during winter when seasonal fresh fruit is scarce. 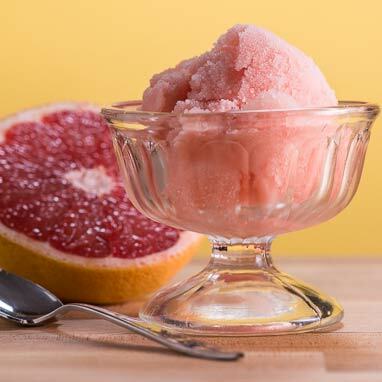 This sorbet pays respect to the flavor of the grapefruit by adding only two ingredients, sugar and Campari (a liqueur containing herbs, chinotto and cascarilla). Garnish with cracked black pepper for a uniquely savory dessert or drop a scoop into a glass of champagne and celebrate this delicious and healthy citrus fruit.